Makeup Masterclass is the definitive guide to all things beauty from renowned makeup artist Rae Morris. 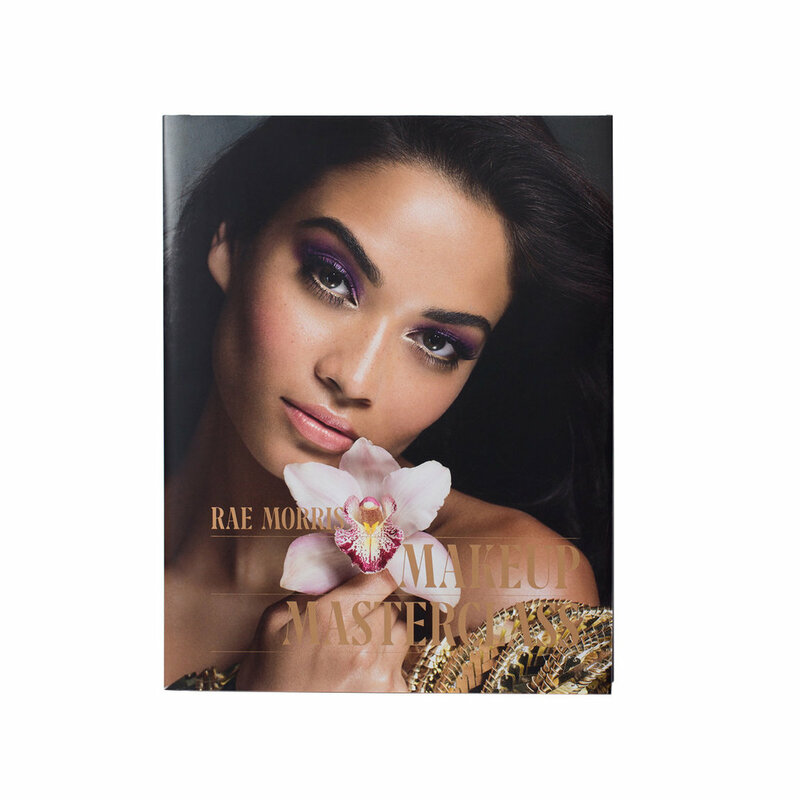 Featuring detailed instructions, customized color charts, and step-by-step tutorials, this book breaks down the secrets of Rae’s 25-year career for aspiring and experienced makeup artists alike. A must have for makeup artists new and seasoned! I've seen a lot of makeup artists release fantastic books with their tips, secrets, tutorials etc. In fact I have a stack of them. However I wouldn't have ever described any of them as essential for an artist. Until now. I wholeheartedly believe that Rae's new book is the best one out there. Not only is it beautifully done, well laid out and a clear labor of love. (She told me she worked on it for 3 years) But it contains some of the best step by step pictorial tutorials that can teach all of us! I actually think that for a new makeup artist just starting out this would be the best investment you could make in your craft. We should always be learning, growing and honing our skills are artisans. I am so excited to implement her teachings into my skill set and will systematically work my way through the book, relearning, and perfecting my artistry. And for the makeup junkie...you will love this book as well as see a dramatic increase in your own ability as well! This is a great book! 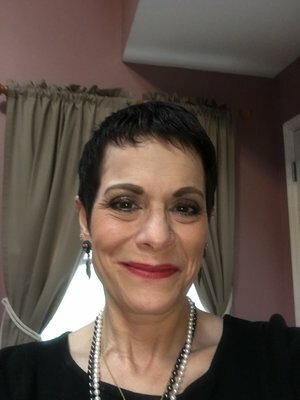 I'm not a makeup artist by any means, but I'm a makeup enthusiast and I'm always looking for new tips and tricks. I love that she gives you a wide array of looks to recreate, from simple to bold. The only thing that bugged me about this book is the fact that she's "pushing" her products. For example at one point she says "I think the best applicator is my mascara applicatir (brush No17)". Every time I read something like that int he book, it annoys me and this is why I didn't give it a 5 stars rating. I've had my eye on this book for quite sometime. Once I was ready to pull the trigger, Beautylish was out of stock. I started googling to see where I good buy it. Then I said to myself, "Beautylish restocks give them some time." The Rae Morris Makeup Masterclass is everything I hoped it would be and more. It truly is a beautiful textbook of the MUA's expert knowledge and talent. I also appreciate her sharing the tools she uses to achieve various looks. Yes it's her brushes and why shouldn't it be when those are the tools she uses. It doesn't mean you have to buy or use them. You have the option and information to do so or use other tools that are similar. I have Sam Fine, Bobbi Brown, Reggie Wells, Kevyn Aucoin and other books from the pros. Rae Morris Makeup Masterclass is by far my favorite out of my collection of trade books. Every turn of the page I am filled with excitement. I am thinking about buying additional copies as gifts for a young MUA I mentor, my daughter and another dear friend. It's that awesome!!! I've purchased a few books on makeup artistry, and this is by far the best! Worthy every penny! This is a must have for any makeup artist. The book is incredible. Rae explains everything and beautiful pictures. The way Beautylish packages this, it would make a great gift. This book is well worth the money. I love it a must have!!!! Rae is just amazing. I love how she breaks everything down to its simplistic form. Not only is she a great artist but an amazing teacher and writer as well. As artists especially when working on people explaining what we incision to someone or understanding their vision can be difficult. It is a skill not easily obtained! I've been doing hair and makeup 21 years and this is the best book I've bought yet on our profession! Great job!! Love love love!! This is "The Book" , beautiful pictures, great techniques, a must have!!!! Got to Spain in just days and super well packed!!!!!! ❤️ it from the beginning to end!! One of the best purchases I've ever made. Rae Morris did an amazing job. Make ups were flawless!! Beautylish did a wonderful job with the packaging too. If you can believe it, this is better than Morris's first book. That book was wonderful, but this is simply otherworldly. It's not cheap, but it's absolutely worth it. Hands down the best makeup book I've read thus far. I wish it was an actual classes. I love it anyway. I have a cosmetology lisence. But makeup has been a patron to me.